You’re invited to join us for the 11th annual Italian Passover at Perbacco. 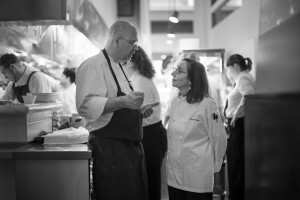 Chef Staffan and our dear friend Chef Joyce Goldstein will be collaborating for one special evening on Monday, April 2. As is our tradition, the dinner will feature a special four-course menu inspired by guest Chef Goldstein’s vibrant collection of Jewish-Italian recipes from her cookbook, Cucina Ebraica, and her latest book, The New Mediterranean Jewish Table. The dinner is priced at $58 per person, excluding tax and gratuity, and below is a sample menu (subject to change).